Still Struggling to Get Targeted Traffic, Interact with Your Audience And Making Sure Advertising Works for You? Tap into Social sites that send more referral traffic then Google, Linkedin and Youtube combined? Social sites that have Billions of active users which get over Hundreds & Millions of Global visitors Each Month? And Social Sites that give High Authority Backlinks which benefit Your Google Rankings? Hi – My name is Abbas Ravji, and I've been developing SEO and traffic generation software for some years. For a long time, online and offline marketers have been trying to get people to see and react to their advertisements, build targeted traffic and engage with their audience. Staying on top of the game and ahead of your competition has always been a constant struggle. And with the ever changing Internet Crazes, it's extremely important that WE as Internet Marketers stay on top of the game at all times. This means we need to know the latest fads in order to exploit and then cash in on them. And for the Last year, One Craze has stuck and grown so popular that even multi Billion dollar corporations and presidential campaigns have started to embrace it. Best of all it continues to grow and expand. And we can’t afford to ignore or miss out on it any longer. If you’re wondering what on Earth I'm talking about then keep reading because this could change the way you do marketing for good. That's a fairly bold statement right? Well, Let’s take a closer look at this new internet phenomenon and craze of Viral Memes, Animated Gifs and the Power of Viral Images. But First - Before I continue I want to make it Clear. It's far greater... I urge you to read on!! The Fact is: Memes and animated GIFS get shared around the web and go viral just for their creative and amusement nature. 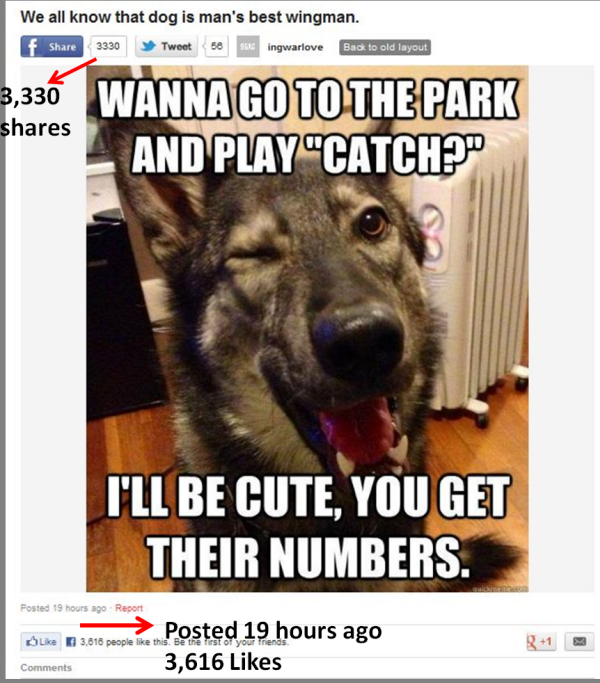 The effects of Memes / Animated Gifs in Social Media can be attributed to the way people interact with each other by using the share, like, and re-blog features on posts they come across. One user can share a picture that some of his friends will share and then some of those friends will share and so on…. re-sharing it all over the world. It's like a chain reaction which can end up creating a massive Social Media wave each and every time you make a post. It’s this viral factor that makes this so incredibly powerful, and a prime target for any person looking to attract visitors. With our simple and powerful yet easy to use software, you can be making memes, animations, and sharing them on top social sites like a pro in no time at all. But that isn't even the start of it. I'm sure many of you are already sharing or using Memes and animations in your marketing arsenal. If you're not then you really should be. It can mean the difference between a trickle of traffic each day to a flood of viral visitors coming in from everywhere. There hasn't been a software / tool available that caters for the vast type of animations, images, and social sharing abilities that WE as Internet Marketers badly need. And the ones that are available are very limited to what they can actually do. I knew something had to be done, so I got our team straight to work on making a solution. Let me show you how we've made it possible for everyone to Tap into this latest Craze no matter what level your skill or creativity. In fact, there are so many features that it would take forever to list them all, so instead I will make a list of the main features further below. But first, let's take a closer look at the viral and social sharing features. With the unique Social media and Wordpress inter-linking system, you have the option to link social sites to your Wordpress blogs in order to generate backlinks and traffic for them. Alternatively you can post to your blogs or social sites individually. 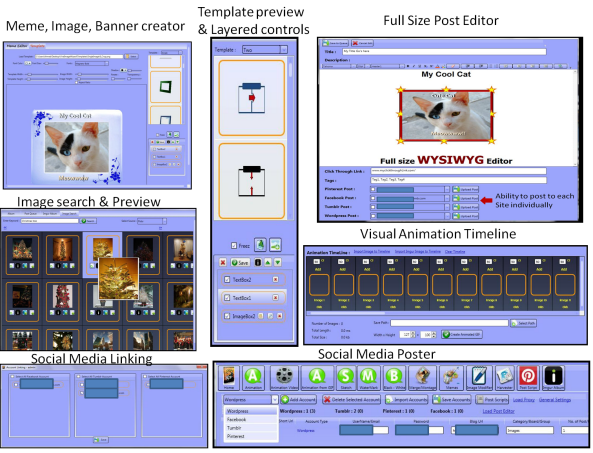 We know how important it is to present, style, and display your posts that we went ahead and built a full sized WYSIWYG Post editor so that everything can be completed and polished up in the one tool. And the unlimited free online Photo / Image management integration features with Imgur makes sure your images are always available online and ready for sharing. It’s truly a Powerhouse software jam packed with everything under the one hood, but not confusing like most tools with lots of features. It would take forever to show all the features in a single video, but if you would like to see more of the tool in action then you should find some more examples below the copy. Let's take a look at some of the features our team has packed into the various versions. Facebook and animation from video are only supported in the Platinum version which will be offered after your purchase. Well that's a whole load of features packed into a light weight desktop application, However it’s December the end of the year, and Christmas is only a couple of days away. So For a limited time only I'm giving a massive 50% discount on all license types. I know the Viral Image Wizard has something to offer each and every one of you, and I don't want there to be any reason for you not to buy. After you purchase you will be offered an OTO. The OTO is a platinum license which will be presented to you at a reduced price. The OTO is not a requirement. Why can't I see Create animation from Video, Facebook posting or proxy support noted in the list of features? 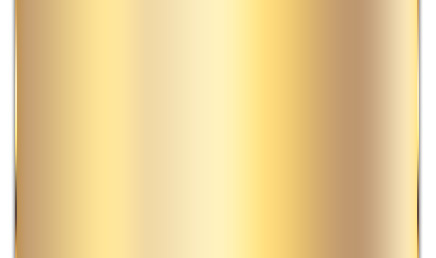 Creating animation from Video, posting to Facebook and proxy support is only included in the Platinum License. 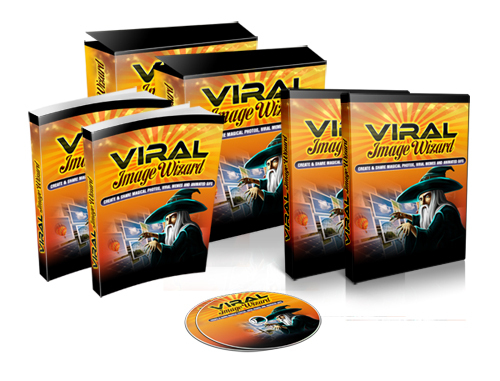 The Viral Image Wizard run on any Windows machines and requires .net 4.0 full version. It will also need an installation of Image Magick which our software will walk the user through to setup. The software is built to not require a lot of space or memory capacity to work on a wide variety of machines. Yes, we will provide updates on our software for the lifetime of the product. 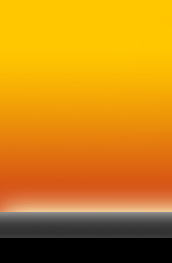 We offer technical support for software issues and licensing by email as well as general product support via our forum. We give a 30 day 100% money back guarantee – no questions asked. * Please refer to the license details in order to determine what social sites or how many blogs your license entitles you to work with. As a full time professional seo and web designer, I need tools that produce real results, fast, for content creation. Viral Image Wizard does what it says, it creates animated gifs from videos, images and even combines and edits already made gifs. 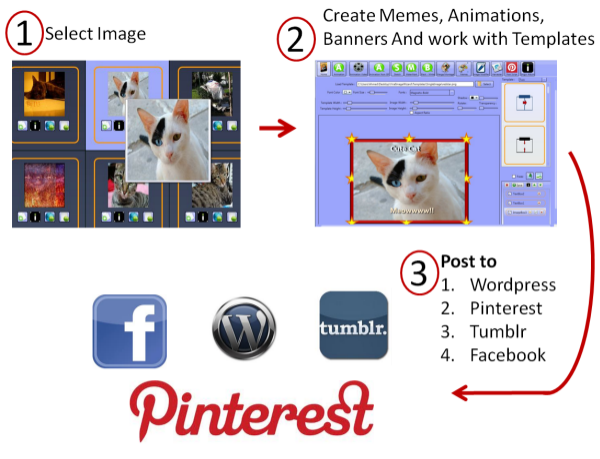 It offers a full pallette of tools to bulk modify images for posting to social media sites, and it creates memes with pushbutton ease, from preloaded templates. The online image storage feature integrates perfectly, and you can even post with one click to your blogs, pinterest and tumblr. Two features found especially useful are the bulk watermark feature, and image merge, which creates those nice long pins for pinterest, with one click. I think this will be a very usable and exciting product expecially for anyone trying to automate creating memes etc and posting. Brilliant product and I love the image animation stuff -- so cool! I do a lot of work on social media, and this tool is going to become a daily use for me for sure. Backlinking using images is a killer way to get traffic, and I've been looking for a way to speed things up. 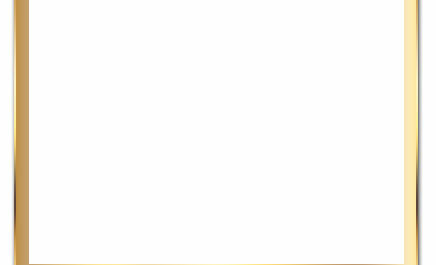 Now I can build images in built and do all the postings from one software. I showed my wife the software and now she's hooked on it too. Platinum is hands down the way to go with all the unlimited features. 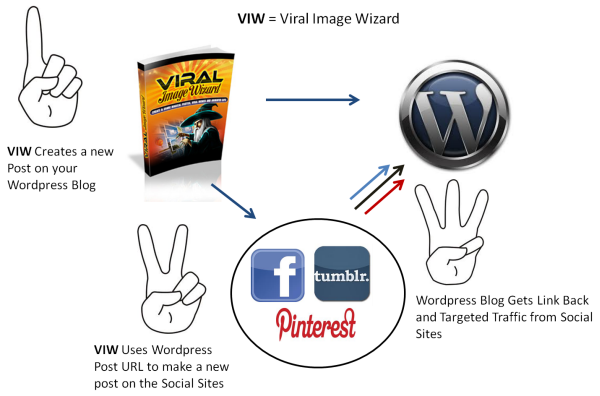 Viral Image Wizard is a great name for this all in one toolbox. In a single unified user interface, you can quickly and easily mange a number of image and video creation, and upload features. 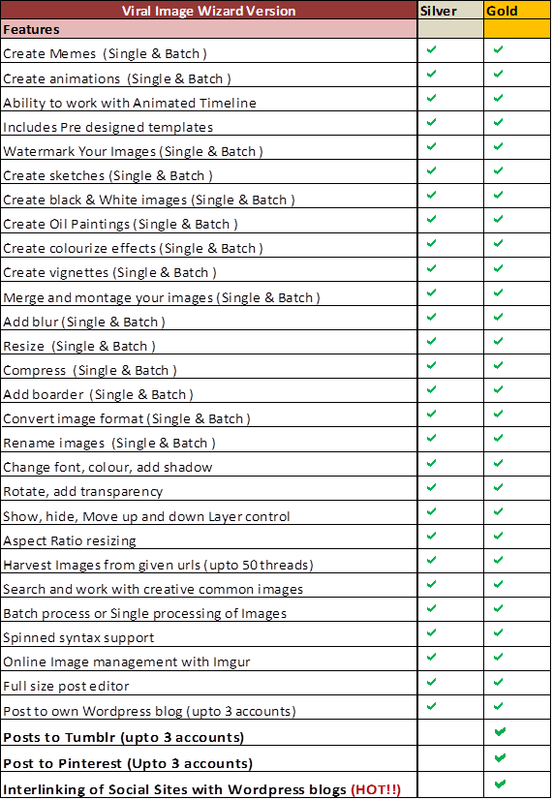 I an truly say that for most users this unified toolbox is going to save you a ton of time, and headaches, making a snap to develop otherwise complex images, animated gifs, memes, and uploads to Pinterest, Wordpress and more. It's the kind of tool box that you will depend on every day. Between just our Facebook, twitter and newsletter following we have amassed over 20,000 fans in just a year and a half. One of the main keys to us growing so fast and also retaining a great relationship with our following is the use of good content which is great images 80% of the time. 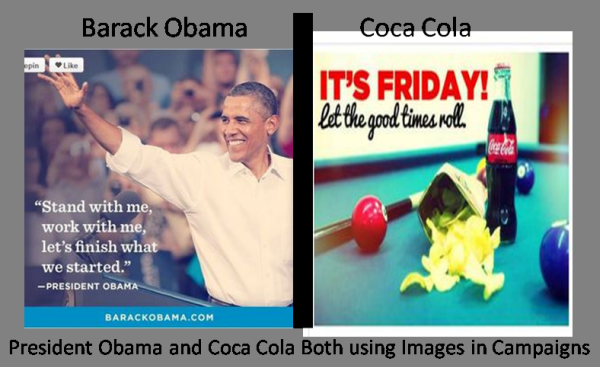 The viral image wizard is a great product to me because it creates images that can go viral very quickly. My favorite part of the product is the Animation Video section where you take a video and create an animated GIF out of it. The Animation video tool is essential because it will create an animated GIF that can go extremely viral on tumblr and pair that with either an affiliate link or a link back to your site and you'll create either some nice income or a plethora of backlinks to your site. Also, for all you SEO'ers out there that do a lot of event based marketing, this is great tool to get your sites/posts indexed really quickly. My site electronicalife is primarily an event based site where we rely heavily on getting our posts indexed before anyone else. 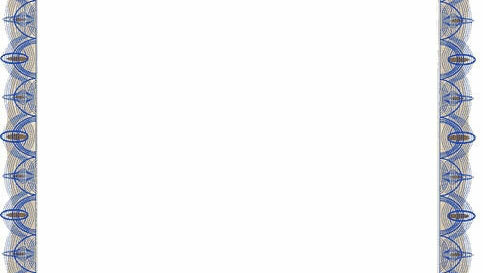 In the past, because we have had our posts indexed first, we have made up to $400 in one day from affiliate income. 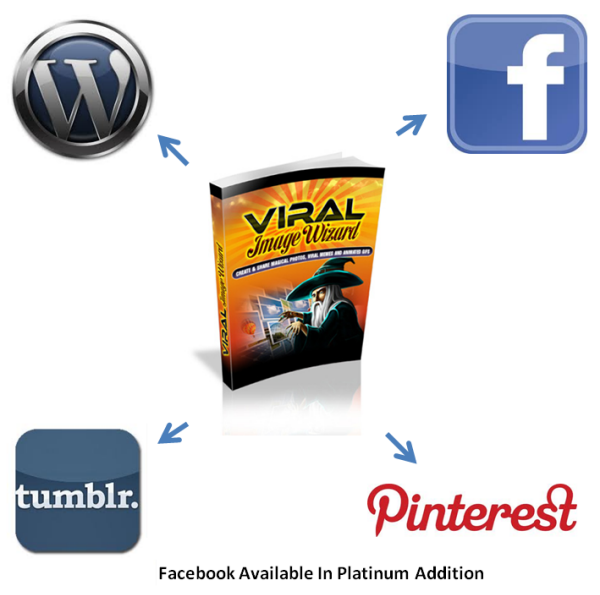 The viral image wizard can be a tool in your arsenal to get your posts/sites indexed really fast, along with getting some quality backlinks to your site. The big G is watching for all this social proof nowadays, so using the Viral Image Wizard can definitely help you out in that respect. Lastly, my overall conclusion for this product is that if Abs just sold the Animated Video tool as a standalone product, it would be worth whatever he's going to charge for the complete Viral Image Wizard. All the other tools in this product are a bonus in my opinion. Great product and congratulations for creating something a lot of people will need and can use effectively.